Young man: I'm a Christian. I follow Jesus. Now, what is your spiritual master in relation to Jesus, and do you see Jesus as just another prophet like all these religions the same way? Devotee: The question was, this man is a follower of Lord Jesus Christ, and he would like to know what our opinion is of Jesus Christ. Prabhupāda: We respect Jesus Christ as you do. Because he is the representative of God, son of God, and we are also speaking of God, so we respect him with our greatest veneration. Young man (2): So you're comparing Kṛṣṇa, Buddha, Muhammad to Jesus as the same, and Guru Maharaj-ji too, another Jesus. You're saying that. Prabhupāda: No. I am not Jesus. I am servant of Jesus. Young man (2): You're a son of Jesus. Prabhupāda: Yes. I am servant of Jesus. Young man (2): What does that mean? 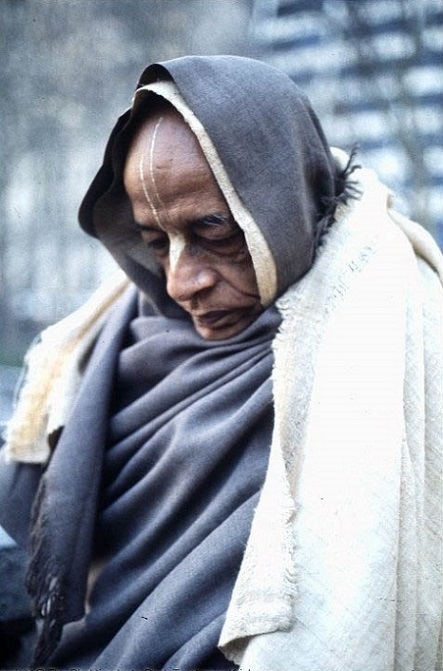 Prabhupāda: I don't say I am Jesus. Young man (2): Do you have the powers of Jesus? Can you say to a person, "Rise up and walk," when they're paralyzed? Devotee: He wants to know if you have the powers of Jesus. Prabhupāda: Eh? No, I have no power of Jesus. Man: Well, I've got the power of Jesus. (laughter) 'Cause I'm a Christian. Young man (2): And one other question. Devotee: Jesus. He believes Jesus is going to come back again. Prabhupāda: Well, he is coming, welcome. We shall welcome. It is very good news that Jesus is back.